Alex Payne is an experienced rugby broadcaster and live event host. He began his television career as a presenter on the ‘Rugby Club’ before raveling to New Zealand as the reporter on the 2005 British and Irish Lions tour. On returning to Sky he began presenting for Sky Sports News and was thrown straight into the hot seat – a challenge he relished. 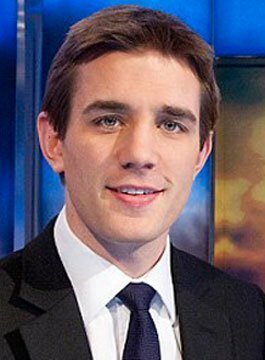 Since then, Alex Payne has become a regular face of Sky Sports’ live rugby coverage including presenting coverage of England internationals, the Heineken Cup and the Tri Nations. Alex Payne has also presented poker for Sky Sports and Fox, including the FullTiltPoker.com Million Dollar cash game and Shane Warne’s Poker Ashes. Away from the TV cameras, Alex has hosted testimonial dinners for players including World Cup winners Jason Robinson and John Smit and conducted corporate hospitality for companies including the RPA, QBE and HSBC. Alex has also presented and helped produce online content ranging from England Rugby’s O2 Inside Line, weekly blogs for Sky Bet, previews for Amlin and live webcasts for Natwest and Accenture. Alex Payne makes the perfect MC or host at any type of event.